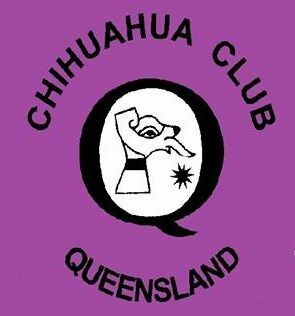 Welcome to the Chihuahua Club of Qld's home on the web. The legends of the origin of the Chihuahua are varied and like so many Legends we must read between the lines for faint glimmers of the truth. Chihuahua’s are reputed to have originated in the Valley de Allenda in the State of Chihuahua in Mexico from where they acquired their name. These little dogs were the sacred dogs of the Mayan Indians and the Toltecs and can be traced back to between the 7th and 9th centuries A.D. It is written that the Aztecs following the Toltecs continued to develop the breed. When an Aztec chief died all his belongings including his little dog, were burnt and the legend goes that when the chief crossed the nine deadly rivers of the underworld the holy dog with the symbolic cotton cord tied around its neck would be waiting on the furthest bank for its master. As soon as the dog saw him he would swim across the turbulent waters and guide his masters soul to safety. Amongst the material passed down from the early Indians especially from Colima, are statues, which are unmistakably Chihuahua’s. These statues are known as the pottery dogs of Colima. The Spanish conquered Mexico in the 16th Century so it is reasonable to assume that specimens of the smooth coat Chihuahua were returned to Europe Many little dogs resembling chihuahua’s have been depicted in oil paintings particularly in Italy, and it is well known that a similar variety of smooth coat chihuahua existed in Malta. More modern thoughts were chihuahuas were really Chinese dogs, which were imported into Mexico by Chinese merchants. One story is that Asians dwarfed animals and trees and thought they might have reduced the size of the Chihuahua. The flat furry tail, an important characteristic of the Chihuahua breed is also common of other Asian toy breeds. Other thoughts on the matter are that the Chihuahua breed originated somewhere near Peru as there is evidence of them with the Inca’s, Mayan’s, Toltec’s and Aztec people and looking at a map of where these civilizations were settled supports the theory that early Chinese merchants may have brought the breed into the South American civilizations. In 1935 in the U.S.A. the breed was showing the results of mixed breeding a Mrs Ida Carrett, a pioneer of the breed mentioned she interbred the smooth coat with Yorkshire Terriers, Pomeranian, Papillons and poodles then crossed the offspring back to the Chihuahua after three generations a similar version to the long coat evolved and was eventually registered in the U.S.A. it was not until 1952 in the U.S.A. that long coats were separated from smooth coats and the Long Coat Chihuahua Club founded. The Long coats were unknown in Mexico before 1959 but smooth coat registrations go back to 1934. Chihuahua’s were known in England as early as 1850 but were not registered until 1907.Up until 1940 there were only 59 registered. During the Second World War many dogs perished so that by 1949 there was only eight registered in England In 1954 the first challenge certificates were issued for the breed in Glasgow, Scotland and in 1965 they were classified as two varieties and judged separately as they are today. Cross mating of the two varieties was allowed in England until 1978 then it was discontinued. In Australia in 1966, they now judged the two varieties as separate breeds. In some states of Australia they were still allowed to breed the two varieties this was discontinued in 1982. Breeders were then granted a period of five years for cross mating the 2 varieties this was very successful the trial period ended in 1987. Breeders fought to continue with the cross breeding of the two varieties as they felt it was beneficial to the breed. They were then granted a continuation to breed the two varieties indefinitely for the betterment of the breed.